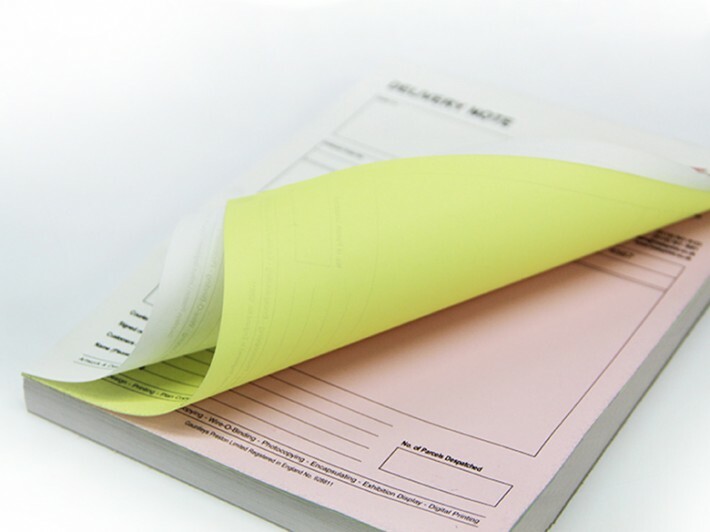 All our NCR sets are personalised and printed with a design of your choice, this can include your logo, your business details, a form/table and anything else you may need, ideal for use as delivery notes, invoices, order sets, receipt sets or any other forms where you might need duplicate, triplicate or quadruplicate copies. The individual sets can be padded in to 50's just select from the drop down menu. Please note that for online ordering the NCR sets are digitally printed. Edge to edge (bleed) printing not possible. Allow 3mm white border. If artwork has bleed then artwork will be reduced minimum amount to fit. Ink colour: black using best quality NCR paper. All parts alike. Number of parts: 2,3 or 4 parts. Option for loose sets or pads of 50 sets. Options for numbering or not numbered. Option for terms and conditions on reverse. How would you like to design your NCR 3 part sets?